A Latin teacher for more than three decades, Joy K. King’s fascination with the language began in high school. Her mother signed her up for a college preparation program that required four years of Latin, and Dr. King ended up loving it. She even participated in a statewide Latin contest through which the top two senior students were awarded scholarships to colleges in Illinois. Dr. King ranked in the top two her sophomore and junior years of high school, but World War II halted the contest her senior year. She managed to persuade the donors to grant her a scholarship to Knox College anyway, and her good marks ensured it was renewed until she graduated with a Bachelor of Arts in classical languages in 1947. She furthered her knowledge with a Master of Arts in Latin from the University of Wisconsin in 1952 and a PhD in classics from the University of Colorado, Boulder, in 1969. Dr. King’s first position in her field was at the University of Colorado, her graduate alma mater. She knew she had found a home there, so she served the school in roles like associate classics professor and chairman of the department for the remainder of her career. 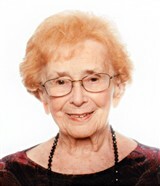 She accepted the distinguished title of professor emerita in 1991. To Dr. King, one of the highlights of working in academia was helping others learn more about Latin, which in turn helped them learn more about their own language. She was also thrilled with the opportunity to do scholarly work on the Latin authors Propertius, Catullus, and Lucretius. Dr. King contributed her knowledge to “Colorado Classics: A Newsletter,” “Woman’s Power, Man’s Game: Essays on Classical Antiquity,” and other professional publications. Her efforts led to accolades like the Ovatio Award from the Classical Association of the Middle West and South, the Knox College Scroll of Honor, the University of Colorado Service Award, an award from the Council for the Advancement and Support of Education, and the Student-Alumni Teaching Award from the University of Colorado. When Dr. King has spare time, she enjoys traveling. Some of her most memorable trips include Africa, Australia, Fiji, and New Zealand. She also enjoys being an officer of the Horizon West Homeowners Association.